Come celebrate Easter at the Club this Saturday, hot cross buns and chocolates for your enjoyment. EASTER MENU FOR APRIL 20th. SHIPMATE TERRY KENT PASSED AWAY APRIL 8. Service will be held at 1:00 pm on April 27 at The Southern Alberta Pioneers Memorial Building 3625 4 St. SW.
Art Jorgenson swearing in our new President Eric Kahler, congratulations Eric. CONGRATULATIONS Bill Bethell and Padre Lloyd Northcott on receiving their Quilt of Valour. Pictured below is Philip Bethell who won gold in the western Canada division of the Special Olympics for 5 pin bowling, congratulations Philip. It was good to see Bill Buchanan visit some Shipmates at the Corvette Club after a long absence, thanks to his daughter Brenda for bringing him down. Tom Conrick presenting Howard Leong from the Veterans Association Food Bank a cheque which will assist them in their efforts in assisting the Veterans in need. NLCC John A Hamilton thanks those CNVA members who donated to help them buy Santa hats. They wore those hats for a Christmas concert at the Colonel Belcher. Very sad to report the passing of our President Paris Sahlen in the early morning of December 29th with his family by his side. He will be sorely missed as a long time and respected member of the CNVA and Naval community. Further details to follow when they become available. Thanks to the Entertainment Committee for the wonderful Christmas decorations, it sure brings the season to life. Photos have now been added to the Photos/Documents members only page. Are you in one of them? New supply of hats in Regalia 25.00 ea. Are you a naval veteran or just want to hang out with old salts? Join the CNVA!. 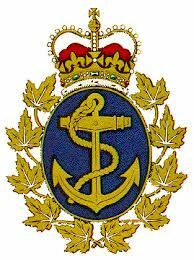 Calgary Naval Veterans Association is a non-profit organization.